The Regulatory and Public Law Team at PSQB has gained a formidable reputation in the fields of Health & Safety, Environmental law, Inquests & Consumer Protection. Six Members of Park Square Barristers Regulatory & Public Law Team are ranked as Tier 1 in The Legal 500 (2018). Five of our barristers are appointed to the list of specialist regulatory prosecutors and members are regularly instructed to both prosecute and defend such cases in equal measure. The team’s depth and breadth of knowledge of cases involving a wide range of prosecuting authorities enables them to bring a unique perspective to cases that transcend more than one area. The team also has members that sit as specialist tribunal judges, and the head of team Craig Hassall sits as a Legally Qualified Chair in Police Misconduct Hearings. Whilst the more senior practitioners lead the field with landmark cases the team prides itself on cultivating new talent from its junior ranks and we are able to offer counsel with expertise from junior tenant to silk. Members of the team specialise in all areas of Health & Safety Law, representing enforcement agencies, individuals, companies and partnerships. The team undertakes a substantial amount of work in the distinct area of consumer protection. 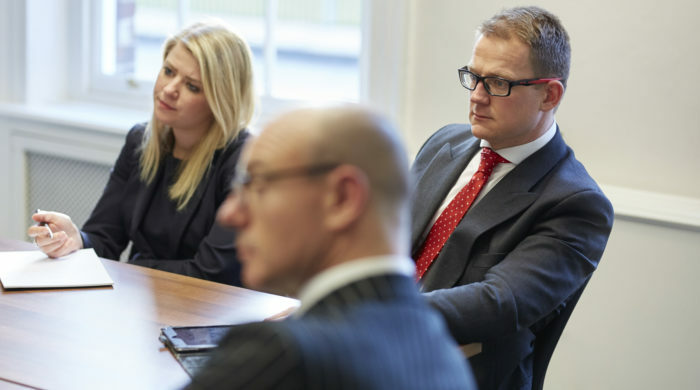 Members have considerable expertise in inquests and are regularly involved at inquests into deaths that have occurred on construction sites or other workplaces and those arising out of road traffic accidents. Members of the team have particular experience of the specialist area of criminal environmental enforcement and receive instructions in a wide range of complex and large-scale investigations. We provide advice and representation in relation to the many issues arising from the functions of, and services provided by, the state (at both central and local government level) as well as by private-sector and non-governmental organisations.